Surging demand for Gucci clothes and handbags boosted sales at parent company Kering in the first three months of the year. 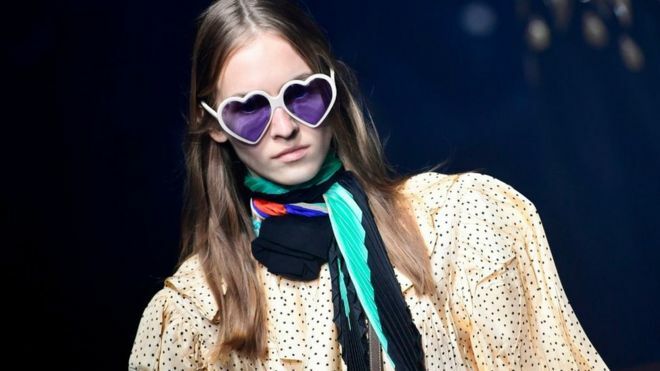 It follows a major revamp at Gucci – Kering’s biggest brand – under creative director Alessandro Michele. Kering, which owns other marques like Yves Saint Laurent (YSL), also benefited from a recovery in spending by wealthy Chinese shoppers. Sales at the French group jumped 27% to €3.1bn (£2.7bn) in the quarter. Gucci’s revenue rocketed 37%, while YSL was up 12%. Alessandro Michele replaced Frida Giannini as creative director at Gucci in 2015, after several years of falling sales at the Italian label. He introduced more quirky, gender-neutral designs aimed at younger consumers and revamped Gucci’s stores. The 97-year-old label has since returned to growth. The Kering division that includes Balenciaga and Alexander McQueen also saw double-digit expansion in the quarter. However, analysts warned the European luxury sector was still grappling with headwinds, including a strong euro – which impacts profits made abroad when they are converted back into the currency. They also fear brewing US-China trade tensions could risk dampening the resurgent Chinese demand.